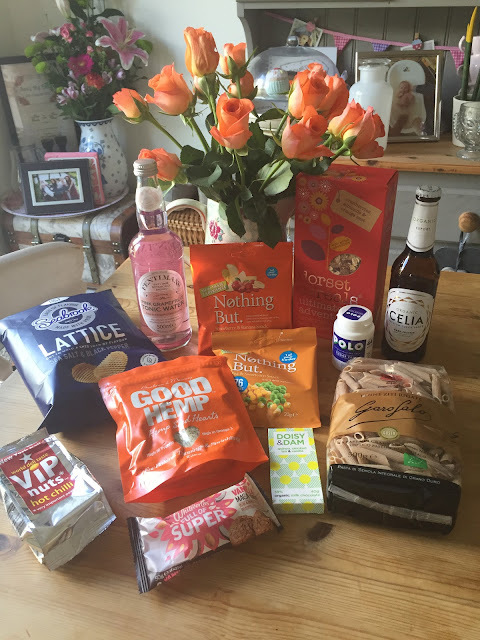 Mrs Bishop's Bakes and Banter: What's in our April Degustabox? What's in our April Degustabox? Once again we were excited to try loads of new-to-the-market foodie/drink releases throughout April. 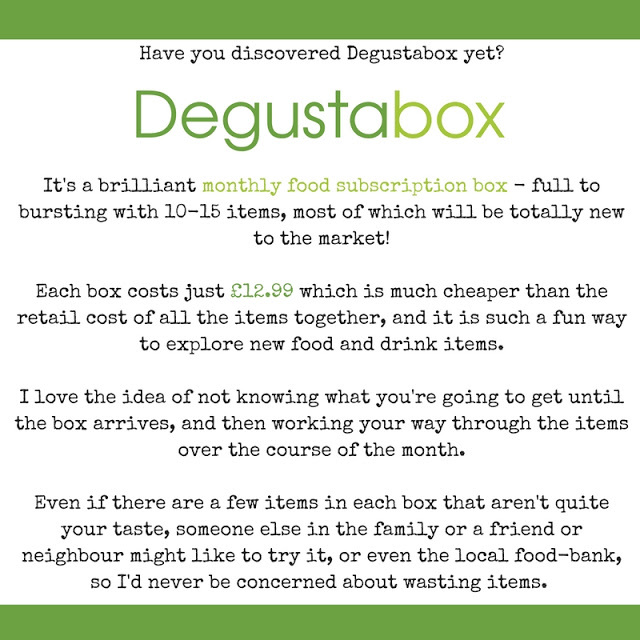 We've been receiving our Degustaboxes for a long time now, and the novelty still hasn't worn off! 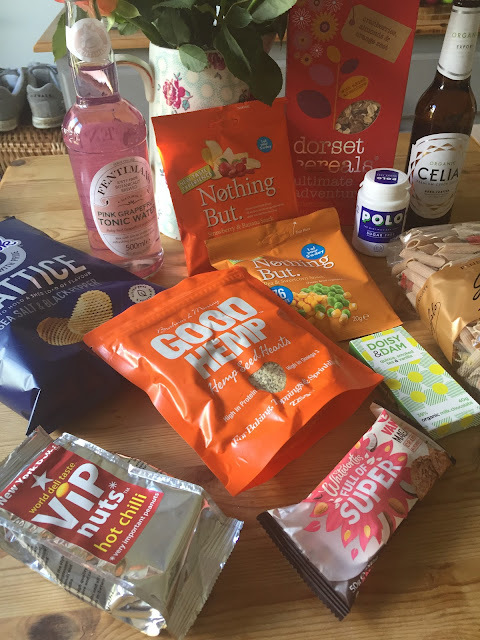 I've discovered so many new products I love and now regularly buy in my weekly food shop. 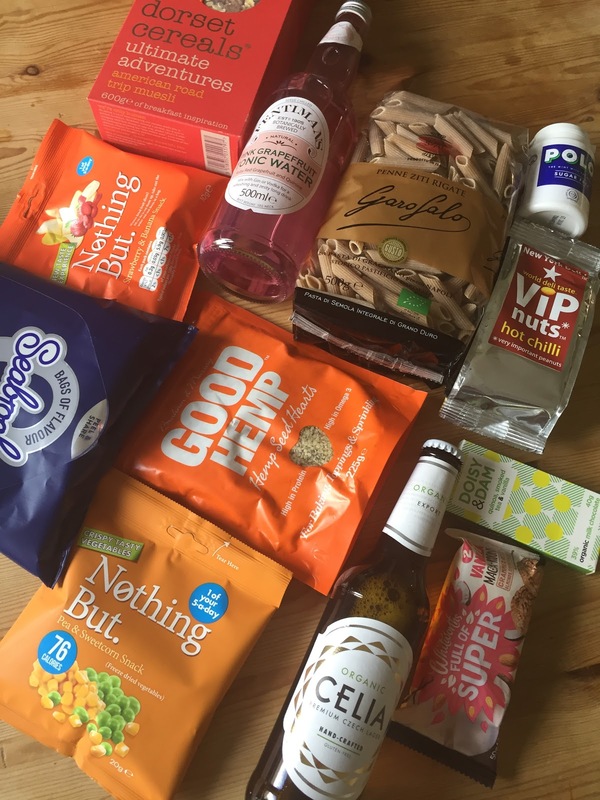 The monthly delivery from Degustabox is making me take foodie risks and try things I wouldn't ordinarily go for, I'd definitely recommend it if you're a foodie like me. For a Seabrook crisp to make the cut, it has to be cut just right. So these Lattice crisps are sliced both ways to hold even more Sea Salt and Black Pepper flavour and give you a crunch like no other. The most flavoursome crisps you've ever eaten? You decide. The POLO®️'s you've known and loved since 1948 are now available in a handy convenient pot for on the go. POLO®️ mints are flavoured with natural mint oils to refresh your breath and the POLO®️ Sugar Free range is accredited by the Oral Health Foundation®️ as being kind to teeth. 100% organic and brewed using just three ingredients, CELIA Organic is a premium craft Czech lager that appeals to all. Moravian malt sourced from the Bohemian region, 100% locally sourced organic Saaz hops and sand-filtered water from the Zatec foothills create a delicious, refreshing lager - and it's gluten free! A pleasure to eat, Garofalo Whole Wheat Penne Pasta is rich in aromas and unique in taste and texture. Made with unprocessed whole organic durum wheat means that its natural bran, germ, fibre, vitamins and minerals remain intact; giving many health benefits. And it cooks in just 11 minutes! These delicious, nutty super seeds are packed with GOODness. Not only are they high in Protein, Fibre and Omega 3, they are also free from nuts and gluten and are super environmentally friendly. Perfect for sprinkling on cereal, yoghurt, salads, and stir fries. You can even bake with them! Join us on our foodie journey with our Ultimate Adventures collection. Our Machu Picchu flavour is an adventurous Inca trail inspired blend of oats and barley with Brazil nuts, golden berries and a taste of coffee. Our American Roadtrip flavour blends cranberries, almonds and orange zest - inspired by Route 66. This bar of chocolatey deliciousness is one of 8 unique flavours. To make it, we soak our delicious nutty Bolivian popped quinoa in a secret smoky infusion, before combining it with our smoothest organic Dominican 39% milk chocolate. Let it melt on your tongue for an awesome taste sensation. Snack packs of freeze-dried fruits and vegetables, containing noting but 100% wholesome ingredients. And because our ingredients undergo a special process called freeze-drying, rather than being baked or fried, all that's removed is the water. Suitable for vegetarian, vegan and gluten free diets. Whitworths VANILLA MACA-ROONS are crammed with almonds, flakes of coconut, and golden flax seeds. What's more they're naturally high in fibre and Pantothenic Acid (which aids mental performance), gluten free, soya free and are suitable for vegetarians. Introducing New York Delhi's ViPnuts - the gourmet peanut brand. 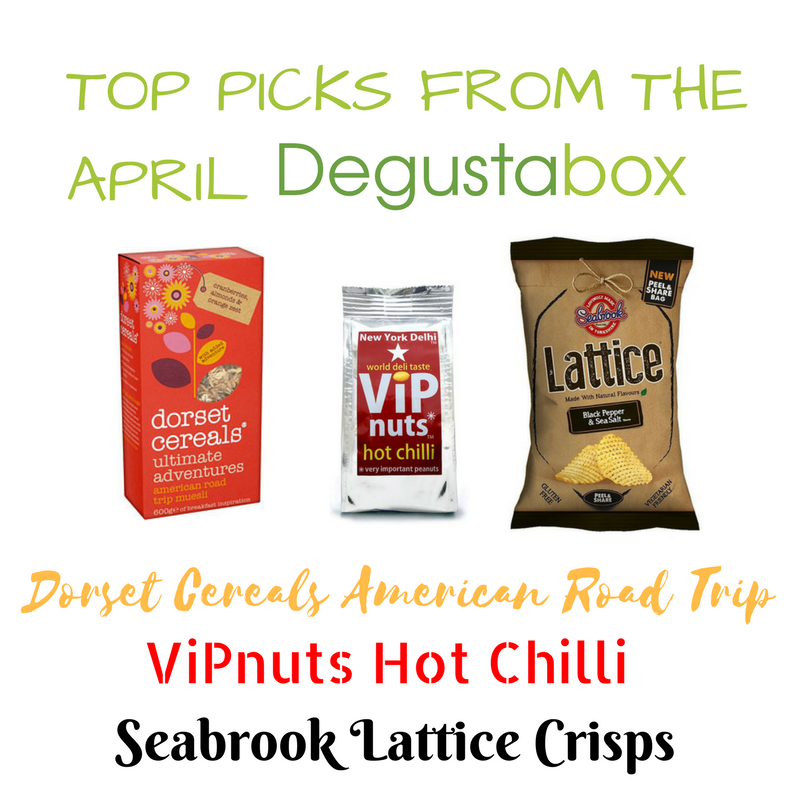 Our unique take on one of the world's favourite snacks. Hot Chilli is the one for the chilli lovers out there - this is not an imposter like so many - this really does not disappoint if you yearn for that chilli kick and depth of flavour then this is the one for you. Deliciously and not dangerously hot! Liam was also chuffed with the handy pot of POLO mints, which he has taken to work to have on his desk. I enjoyed trying the Whitworths Full of Super Maca-roons, although I probably wouldn't buy them again as there are other energy-ball style snack products on the market that I prefer. We tried the Doisy & Dam chocolate but it really wasn't to any of our tastes, although I could appreciate the quality of the milk chocolate itself, and the texture from the added quinoa, I just couldn't get on board with the smoked tea element - it was almost savoury, which for me just didn't work! I'd be interested to try other flavours in their range though. We all enjoyed the fruit bag from Nothing But, however we found the pea/sweetcorn vegetable bag to be very bland - I think the natural sweetness in the fruit bag works well, but the veggie ones really lacked flavour and pizzaz. Liam drank the CELIA Organic lager with our delicious steak dinner on Wednesday night and he said it was the perfect refreshing craft lager to go with a treat meal. We're saving the whole wheat pasta for a family dinner next week - we only eat whole wheat pasta here, so I'm sure we'll love it, having not tried this particular variety before - a very handy addition to this months box, as it saves me buying me usual packet in my weekly shop! 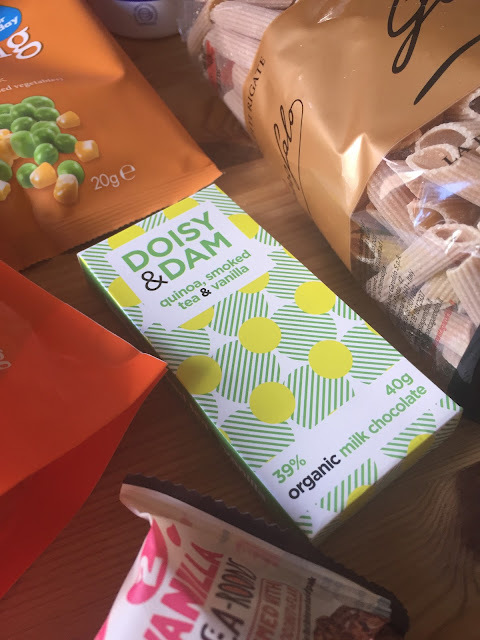 A totally new-to-me product is the GOOD HEMP Hemp Seed Hearts - the health benefits really interest me, and they've been really easy to sprinkle onto my cereal and yoghurt in the mornings - they add a nice bit of texture and a subtle nutty flavour. The packet is massive and will last me a really long time as I only sprinkle a teaspoon full each time.